For Map & Driving Directions to Benito Middle School - click here. 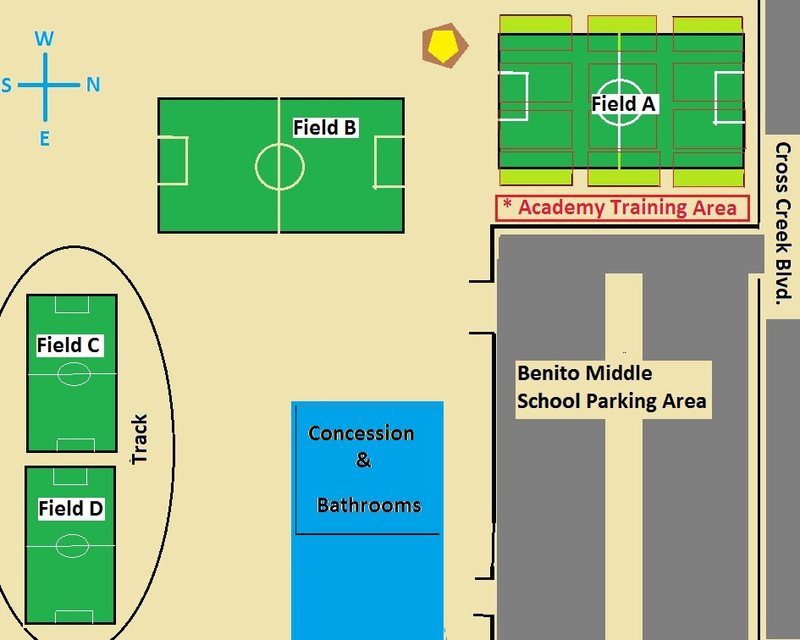 For Layout / Field Map of Benito Middle School fields - click here. Google Map for Benito Middle School Fields at 10101 Cross Creek Blvd., Tampa, FL 33647. See directions below the map. Take Bruce B. Downs Blvd. (30th Street N.) north (north of Bearss Avenue, north of Tampa Palms and just north of Hunter’s Green traffic light) to the next light at Cross Creek Blvd. Turn right into the Benito Middle School parking lot at the Kinnan St. traffic light.